Design Addict Mom: Have a Sunny Weekend! The sunlight has blessed us with its presence the past two days and I couldn't be happier- we also get to a high of 70 degrees today! Yippee! Glory the fiddle leaf fig is also thrilled and happy to be soaking up the sun. In other news, this weekend(on Sunday), Zion turns 9 years old, 9 people! Can you believe that? My, how time flies! Also, I just recently got the coolest headphones(the ones pictured). Known as the Sudio Regent, they are not only comfortable to wear, but they also have bluetooth capability- so cool! You can get your own or check them out HERE. 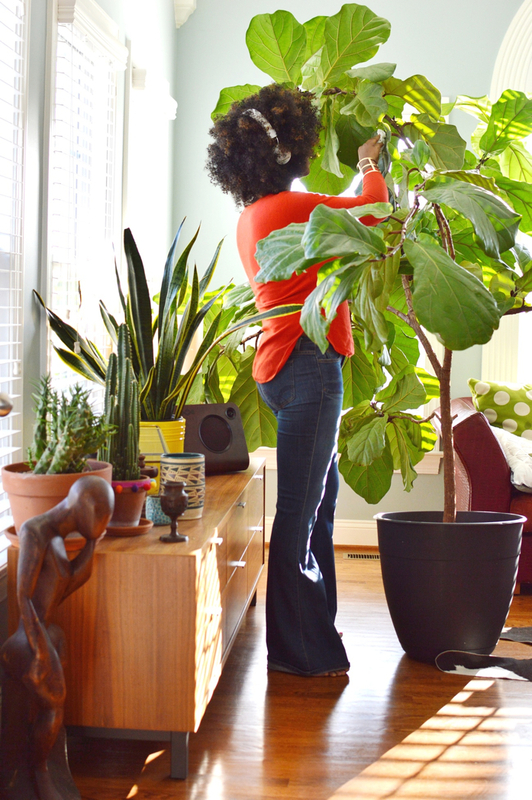 Here are some basic tips too from the archives about how I care for Glory, my fiddle leaf fig.